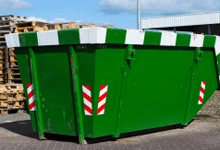 Rubbish Waste | Best Waste Removal Service ~ Up to 40% Off! Contact our London junk clearing company and let our rubbish collecting experts drive away and recycle your garbage or book home clearing service at good price. Fast and effective rubbish clearing service you could book now in our respected London waste collection company that offers a variety of clearance services. For house garbage removal and office rubbish clearance, contact our London waste clearing experts who will get rid of your rubbish in no time. Our professional rubbish management company in London undertakes all kinds of junk clearance service such as house clearance and office clearing. Offering building site waste collection in London, our reliable construction site clearance company is the right place to call when faced with refurbishment. Having all the permits for hiring a skip in London, our junk removal firm is ready to help you if you want to rent a skip and get rid of the rubbish. Our waste clearance company in London offers home and garden refuse collection done by dependable yard garbage removalists. Don’t waste time and get rid of waste today! For small office clearance or a full building waste removal, we are the right place to call if you want your equipment to be removed safely and quickly. To successfully clear domestic rubbish get in touch with our clearance experts in London who can provide daily or weekly waste collection services. Our London house clearing company provides professional waste removal services on daily and weekly basis including basement clearance and attic junk collection. Metal collecting service and scrap metal recycling are services professionally done by our rubbish clearance experts in London. Book our company today! We will remove all your old kitchen items and safely dispose of them the eco friendly way. It is really simple. We’ll get rid of washing machines, dish washers, cookers and fridges and more. Are there piles of waste laying around in your home or office? Would you like to have them removed, without having to wait weeks for a permission to hire a skip? Rather than having to drive around with all of the rubbish in your car or to even contemplate hiring a van. We want to make sure that you get clearance services at your convenience. There is no longer any need to worry about the best way to hire rubish removal services. RubbishWaste did a full on garage clearance for us, and it was such a relief to have someone else deal with it, and they did it so quickly too! As a landlord I've used Junk Removal many times for help with property clearance and they've never put a food wrong. Affordable and great results, can't ask for much more. The flat clearance guys completed a great job and the smiles never left their faces. It was a pleasure doing business with Junk Removal. RubbishWaste were speedy, polite, and the loft clearance team were hard working. I thoroughly recommend them to anybody and everybody. When it comes to house clearance in the United Kingdom, there will be company after company competing for business. Every one of which will offer you the world, but only one house clearance company can truly offer you such. Rubbish Waste offer the leading rubbish removal services in the country and it isn’t difficult to see why. You have arrived on our home page for a reason and odds are it is because you want to use our hard-working staff. Each member of our team comes fully vetted and complete with full uniform and ID cards. They also use the very latest in clearance services equipment and technology, along with one of more of our fully insured vans. We offer a wide range of services, so we have you covered no matter what you need. It is our belief that when it comes to clearing services that you want a name you can count on, so speak to us today on 020 3540 8131 for more information. The United Kingdom is a vast area, spanning several different countries. It means that when you are looking for office clearance or general clearing services, you will want to find a company who understand the geographical elements. You will never find us at a loss when it comes to where to dispose of your goods. Live in a rural area? No problem, wanting specialist flat clearance services? Don’t worry, as we offer that option to customers as well. When it comes to our clearing services team, there is no job too big or too small. Next time you need a name in the clearance world that you can count on, pick up the phone and give our team a call. Our customer service team will then point you in the right direction with a free no obligation quote. Cost effective, highly skilled and fully insured, use us and rest easy knowing that your waste removal job is in capable hands. It doesn’t matter whether you require commercial clearance, garden clearance or flat clearance, our clearing services can help. You have found us for a reason, because you clearly want the best service currently in the United Kingdom. names and staff in the world of clearance. Our staff will handle every aspect of the junk removal process meaning that you will never even have to lift a finger. Each job we take on is handled with ruthless efficiency, by using the very best techniques in the field along with a vast fleet of vans.  Speak to our team today on 020 3540 8131 and they will talk you through what we offer in more detail. And you would like to hire us? 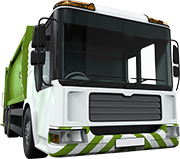 Description: Our friendly London rubbish removal team can provide garbage clearance or an office clearing service on daily, weekly or monthly basis. Call and book us today!